For more information regarding this event, please email Medicine at medevent@soton.ac.uk . Professor Sarah Ennis is an alumna and Professor of Genomics within Medicine at the University of Southampton. She holds an honorary NHS contract and is a fellow of the Higher Education Academy. Sarah graduated with a first class honours degree in Biochemistry and in 2003 was awarded a PhD from the University of Southampton for her work on the Genetic Epidemiology. Her career has evolved with the emerging field of Human Genomics and she now leads the Human Genetics & Genomic Medicine Research theme and her own research group in Genomic Informatics. Her group specialises in the analysis of next generation sequencing (NGS) data, focussed on, but not limited to, the understanding the genetic aetiology of human disease. Sarah’s talk will describe the rapid evolution of genetics, genomics and gene mapping technology since the turn of the twenty first century. It will specifically track the simplest type of genetic variation observed in humans – single nucleotide polymorphisms (SNPs; pronounced “snips”), and discuss how their discovery and subsequent use as tools has unlocked our understanding of the biological basis of many common and rare human diseases. Refreshments will be served from 16:45pm with the lecture beginning at 17:15pm, followed by a wine and canape reception in the Lecture Theatre foyer until 19:00. Book your tickets by following the link above. 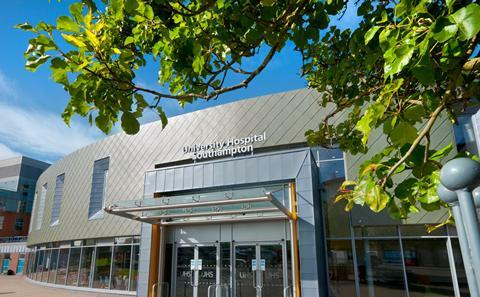 The lecture is being held in Lecture Theatre 2, Level B of the South Academic Block at the University Hospital Southampton.